Charitable Giving Programs for Supporters of Saving Paws Rescue Arizona. Last year, the Albertsons Companies Foundation gave away more than 18 million dollars to charities; Saving Paws Rescue Arizona was the lucky recipient of a portion of that through grants to help further our goal of saving German Shepherds and Belgian Malinois. 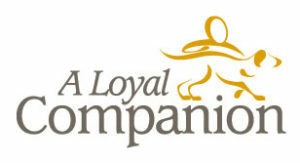 Located in Tucson, Arizona, Katie from A Loyal Companion has assisted several of the Saving Paws Rescue dogs. BISSELL’s Partners for Pets: Saving Paws is proud to be a Partner for Pets! BISSELL and LostPetUSA.net have teamed up to help organizations like ours raise money, and now you can help too! When you purchase pet products on bissell.com and enter the code ADOPT at checkout, a portion of your purchase will be donated to our organization. It’s simple – 2 ways to direct a donation to SPRAZ Online purchases. The first is to shop pet products on www.bissell.com and enter the code ADOPT at checkout then select our organization! The second is for retail purchases of eligible products. First, visit http://www.bissell.com/pets/, select “Activate Donation”, enter your purchase information and follow instructions. Then select our organization! Jeffrey Flocker with Canine Physical Rehabilitation of the Southwest, LLC has helped several of the Saving Paws Rescue dogs, including Anke, Hutch, Michi, Donny and Marie. Based in Glendale, Arizona, Destination Dog Training has a number of offerings. They include: puppy staycation, obedience staycation, behavioral staycation, adventure staycation, private lessons, and group lessons. Learn more by visiting Destination Dog Training’s website. SPR is proud to partner with The Grey Muzzle Organization in providing adoptive and foster homes to older dogs through the Seniors For Seniors program. If you are over the age of 50 and are interested in adopting or fostering a senior dog, please be sure to visit the adoption and foster pages on this website. The Grey Muzzle Organization improves the lives of at-risk senior dogs by providing funding and resources to animal shelters, rescue organizations, sanctuaries, and other nonprofit groups nationwide. For details, please visit www.greymuzzle.org. Kuranda Dog and Cat Beds are a chew-resistant, elevated pet bed that is durable and easy to clean. Best of all, you can even donate them to a shelter through their Donate a Bed Program! Lost Pet U.S.A. offers a service we hope you’ll never have to use, but it’s important that you know about it! Lost Pet U.S.A. exists to reunite lost and found pets and keep them out of shelters. And as part of the Bissel Pet Foundation, they help fund our work. Are you in the market for a new collar, leash, or dog bowl? Max and Neo is a local business offering high-quality products at reasonable prices. The best part is that every time someone purchases a product, Max and Neo donates a product to a rescue. Talk about a win-win! Also, it doesn’t hurt that their founder has fostered 20+ dogs for us. Did you know that Petco isn’t just a place to pamper your best friend, but their foundation has invested 200 million dollars in over 4,000 animal welfare partners since 1999. That investment has resulted in over 5.3 million pet adoptions. Learn more on the Petco Foundation website. 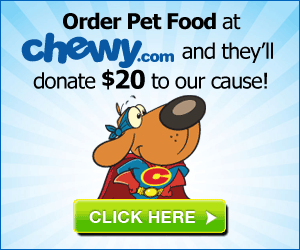 Pet Food Depot has been a wonderful sponsor for Saving Paws Rescue AZ. For the past 3 years, we’ve been invited to their annual customer appreciation day. They’ve donated bags of food, toys, treats and dog beds, held tree angles for the fur kids at Christmas time and even ran a canned food drive. Not to mention, if you have a Saving Paws Rescue dog, be sure to let them know and they will give you 10% off your first purchase and 5% on purchases after that. Learn more about these family owned and operated stores at the Pet Food Depot website. Did you know that one of our most-popular fundraisers is our annual calendar? Last year, Printing Center USA gave us a great deal – which means that we were able to save even more lives. You can find out more about their services at their website! It really dogs take a “village” to save some of our dogs. Anakin got a special gift recently to see if it might help in the healing of his spine and back legs. The Anakin Angel nannies are using a new piece of equipment, a Revita Vet Light therapy machine. Anakin’s rehab therapist is thrilled to see us using this to help him. Anakin is getting 2-3 therapy treatments per day. The objective is the light therapy increase circulation by increasing the formation of new capillaries, which are additional blood vessels that replace damaged ones. New capillaries speed up the healing process by carrying more oxygen as well as more nutrients needed for healing and they can also carry more waste products away. This unit was donated to SPR by Tom Neuman at RevitaVet Therapeutic Systems. In addition, Tom has added a sponsorship benefit to donate 20% of any sale when referred by Saving Paws Rescue. You can find out more about this form of treatment at http://www.revitavet.com. For every house Vicki Cochran sells, she donates a portion of her commission to Saving Paws Rescue. 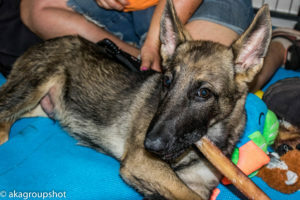 If you’re looking to buy or sell a house and support your favorite local German Shepherd and Belgian Malinois rescue at the same time, look no further! 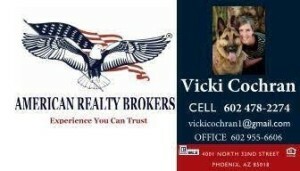 You can contact Vicki and find this photo with her beautiful dog at her website!